Vegan perfumes with no nasty synthetic preservatives, no parabens or phthalates! 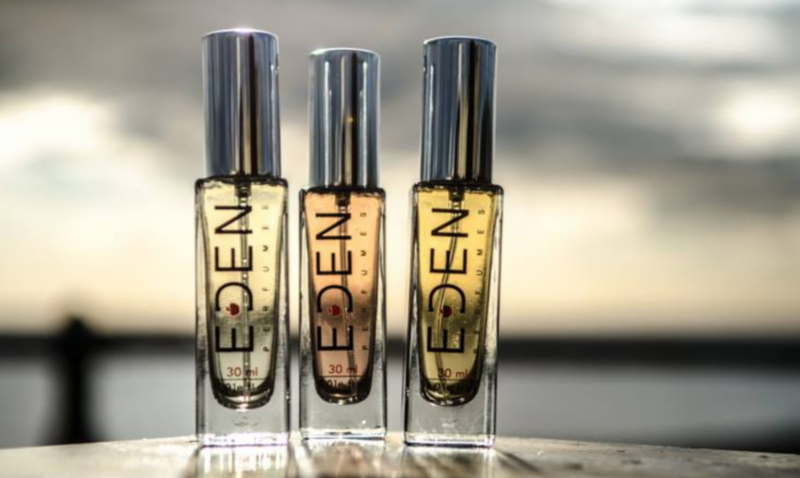 I was overcome with joy when I discovered the wonders of EDEN perfumes. I was ordering a double espresso in the Acorn Veggie Deli in Leigh on Sea when I saw these glistening in the corner and they caught my eye. Over the last few years I’ve struggled (I know sounds mad) to not feel guilty about what I’m spraying onto my body, for various reasons. One of them being that, I’m obviously against animal testing but also, what chemicals are in these perfumes, that are getting absorbed by our skin and going straight into our blood stream, potentially causing all sorts of chaos. Yikes! I’m a sucker for spritzing too much, because I always want to smell my own perfume, so now I can guilt free because they are completely vegan and also contain no nasty synthetic preservatives, no parabens or phthalates! But that’s not it…..They create vegan alternatives of your favourite perfume brand, which smell so similar, I could barely tell the difference. You can order online and you can refill your bottle in their London or Brighton store! Previous Post 2 natural spritzing toners, that I love to keep in my handbag on a hot day! Next Post How to get recycling! Take your old clothes to H&M and Zara and get rewarded!